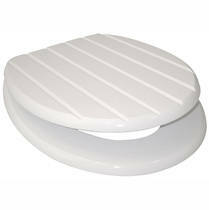 Solid Moulded Wood seat with Chrome finish Soft Close hinge. Constructed from Moulded wood core and finished in an attractive White Wood Groove and Satin Chrome Hinge. 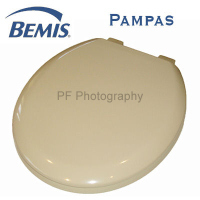 Suitable for bottom fixing only toilet pans. Wont convert to top fix application. 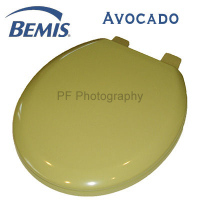 This toilet seats should fit most standard UK oval pans with fixings holes at 16cm and bottom access to allow secure screw fixing. 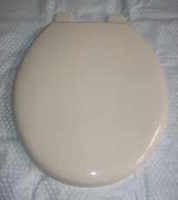 Wood Groove white toilet seat with a slow close hinge.